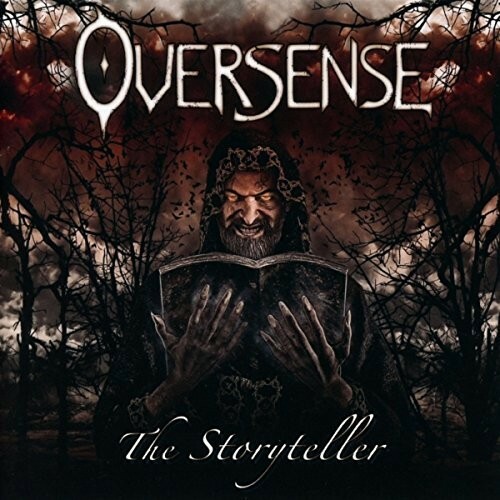 The orchestral string sounds and melancholic piano of 'Forgotten Tales' is the introduction to this debut from Bavarian Metal band Oversense. It leads into 'Wild Hunt', an eight minute slab of Melodic Metal with a catchy chorus that's the perfect showcase for founder Danny Meyer's fine voice. Halfway through, it slows to just piano and strings before resuming back to Rock guitar riffs and a fine solo courtesy of Avantasia guitarist Sascha Paeth. The whistling intro adds a creepiness to 'Mr. Mackie's Chase For Love', a strangely titled song inspired by Bertolt Brecht's 'The Threepenny Opera' about a fictitious serial killer who'll do anything for love. This Rocking Iron Maiden-esque tune also happens to be the first pick off the album for a video. 'Purgatory' begins with a Lisa Geiß bass line before guitar and double kick drums come in, with lyrics about "hellfire", "stairway to heaven" and "highways to Satan's door" you know what you're in for here. The acoustic intro to 'Sally', a song about unfulfilled love, gives way to a mid-tempo Rocker. For me, this would've been an ideal single due to its sing-along chorus and being just light enough for a crossover onto mainstream radio... were it not for a couple of lyrical f- bombs. Elsewhere, 'Phobia' has a funky underlying groove to it, while 'Last Goodbye' begins with furious double kick drums and never lets up, rattling along at a fair old lick. 'The Heart Begins To Shiver' is a power ballad of the highest order; acoustic guitar, piano and a low register vocal start us off before things heavy up and the strings add to the overall sound where lighters are held aloft (well, mobile phones nowadays) – this is one of the highlights of the record. 'When The Undead Rise', with its orchestral intro, 'Through The Panthers Eyes' (about man's recklessness to the environment and the suffering of caged animals) with a Bluesy piano interlude and bonus track 'Big Bang' round things off, the latter being very Metallica-like. This album is not just your run-of-the-mill Metal. 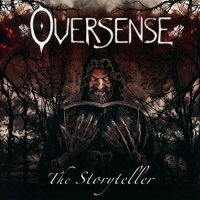 It has a few surprises up its sleeve and is Melodic, Gothic, Power and Progressive in equal measure. The production by Olaf Reitmeier and Miro Rodenberg is very polished which isn't surprising given their list of credits. The first listen will reel you in, subsequent ones will have you hooked, isn't that what a good Storyteller does?